Drone roof inspections. Licensed and insured. Quick service. Roofs are one of the most vulnerable parts of a home. They are also one of the most expensive parts to repair or replace. Unfortunately, they are often one of the most neglected parts, simply because it is hard to get a good close look at your roof. Roof inspections can be risky – both for the inspector and the roof. Climbing on ladders and scaffolding can lead to falls. There is also the possibility of damage to the roof itself from walking and otherwise working directly on the roof surface. Welcome to drone roof inspection, an affordable, safe, and efficient way to check your roof on a regular basis. Drone roof inspections are safe and cost-effective. 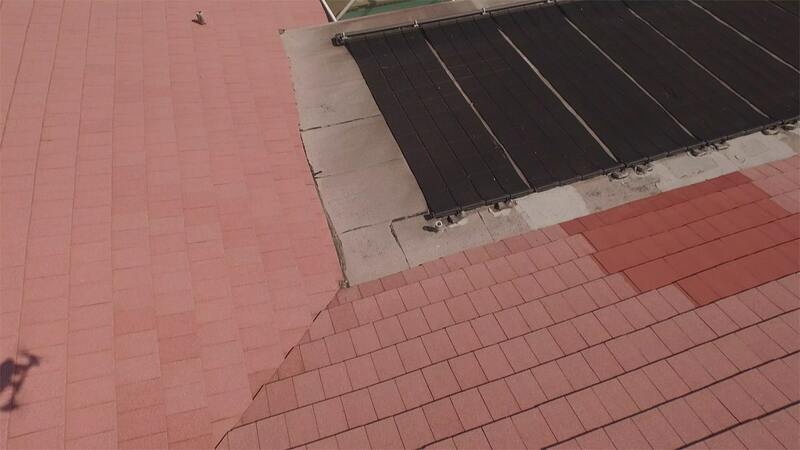 They can be completed in a fraction of the time with minimal risk to the inspector or the roof. And at a fraction of the cost. Steep pitches, complex configurations, and difficult to reach areas are no problem. 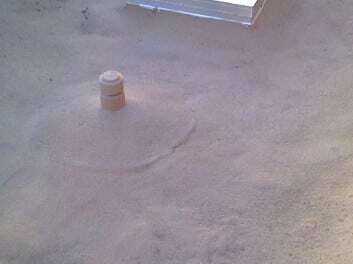 All roofs undergo normal weathering and aging, and the effects are usually visible from above. 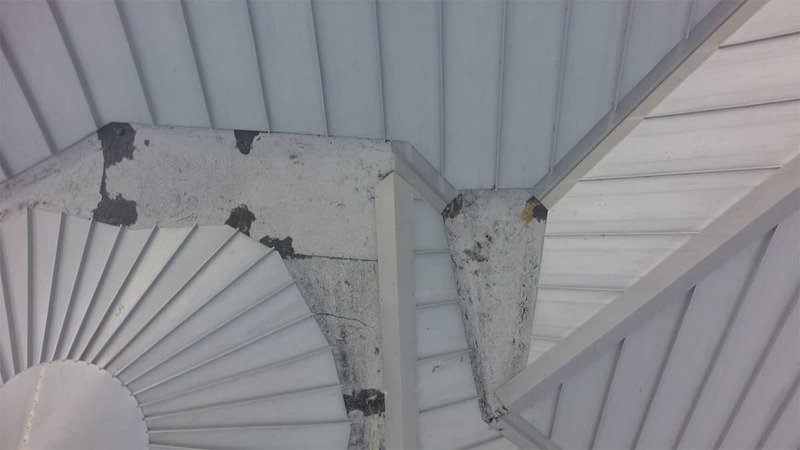 As roofs weather and age normally, openings may occur, leading to water infiltration. 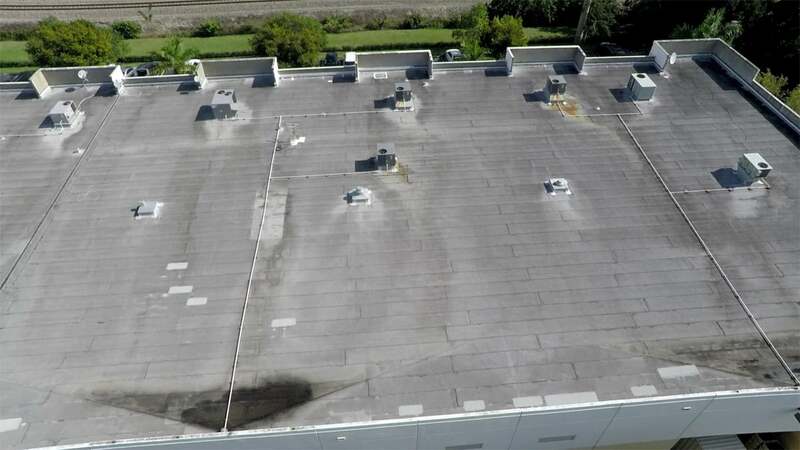 Regular drone roof inspections reveal weathered areas so you can effect repairs before you experience major damage. Whenever your roof is worked on, for cleaning or any other reason, there is the possibility of damage. 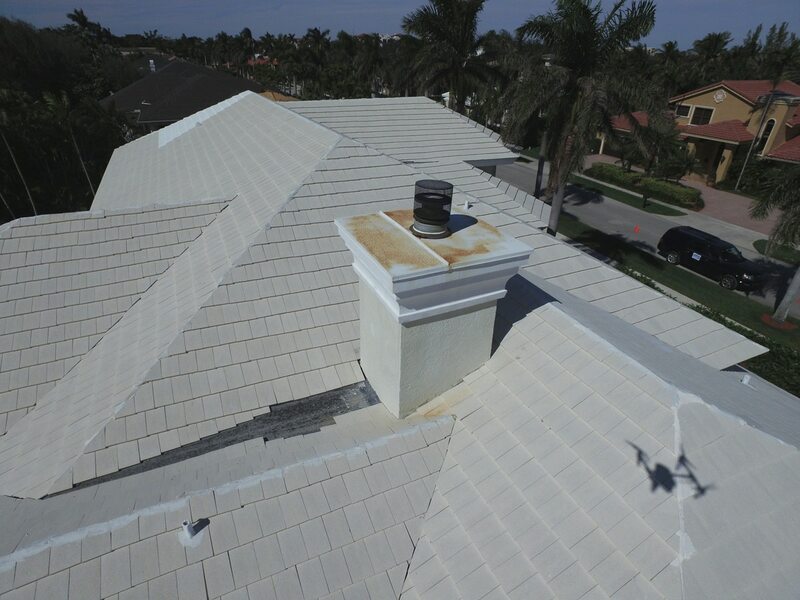 Before and after drone roof inspections can be very helpful if someone else damages your roof. Weather events such as high winds, hail, and torrential rains can cause roof damage. It’s a good idea to have a drone roof inspection immediately following severe weather. Detecting and repairing minor damage from winds or hail can save you hundreds, or even thousands of dollars in future repairs. According to insurance adjusters, a significant amount of storm damage is actually caused by debris blown onto roofs in high winds. Water backup greatly increases the likelihood of roof damage. Good obstruction-free water flow, and clean, free-running gutters are critical to your roof’s health. 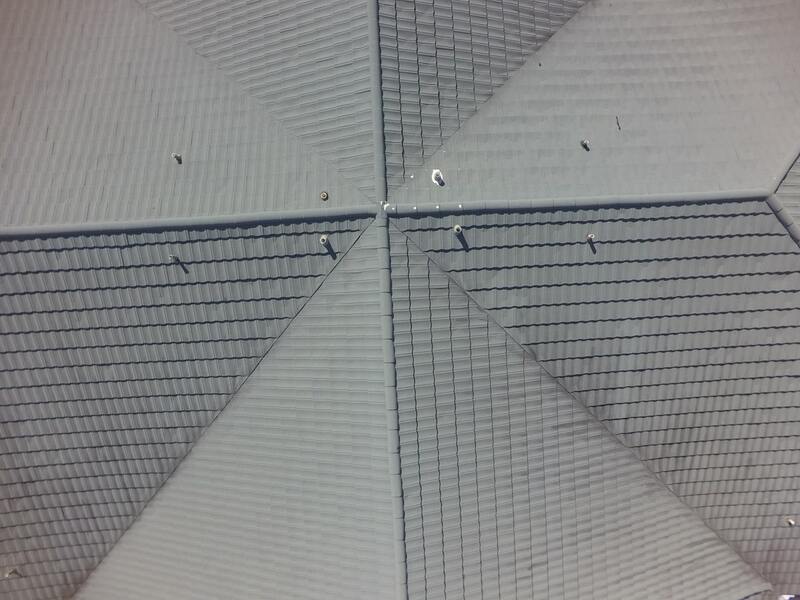 Regular drone roof inspections can detect problems in these areas while they are still minor. Like the blade of grass that mightily breaks through the sidewalk, vegetation will grow on your roof whenever conditions allow. Wind-borne seeds, as well as seed carrying birds, lead to the growth of vegetation. Gutters are a particular problem spot due to the accumulation of dirt, seeds, and moisture. Trees can also be a problem when branches are in contact with the roof. In addition, roots can penetrate through the roof and cause significant damage. Regular drone roof inspections can help you keep an eye on vegetation issues. We recently did a roof inspection project comprised of hundreds of townhouses in 47 separate buildings. We completed the project in two days, saving the client hundreds of man-hours and thousands of dollars. After Hurricane Irma left roof debris on the lawn of health care facility, they hired us to take a look so that they could assess the extent of the damage. The three story building has a steeply pitched roof, with several gables and dormers, making it dangerous and difficult to get somebody up there. Our inspection took less than an hour and showed that their roof was intact. The debris had come from a neighboring building. They avoided doing a dangerous manual inspection and saved hundreds of dollars. How Ahead Air helps you stay ahead of big roof repairs. Our licensed and insured pilot will fly a camera-equipped drone over your house or building. We will take hi-res still images and/or video of all roof surfaces, as well as detailed closeups of roof components including chimneys, skylights, gutters, vents, flashing, as well as roof mounted equipment like antennas and satellite dishes. We then provide you with a link to download your images. You can look through them to spot potential trouble spots, or we can refer one of our licensed roofing company partners to review them. How often should I get a drone roof inspection? We suggest a visual drone roof inspection every 6 months, and anytime there is an event that you suspect may have caused damage, such as a severe weather event. Important- Drone roof inspections are intended to supplement periodic physical inspections by a licensed roofing company, not replace them. 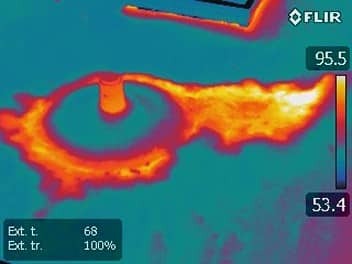 Drone roof inspections expose physical problems visible from above the roof. Some problems require a more thorough inspection, such as going into an attic to inspect the subroof from below. You should have complete roof certification inspections done by a licensed roofer on a regular basis. In addition, we can capture infrared images of your roof. IR helps to reveal temperature variances that may indicate underlying problems that are invisible to the naked eye. We offer discounts to HOA members when we can book multiple drone roof inspections in the same community. Multi-unit building residents can also save by splitting costs with neighbors. Put us in touch with your HOA, either by providing us with their contact information or having them call 84-GETAHEAD (844-382-4323), and we’ll set up your discount program.